What a great idea!!! How did you ever think of that? Ad agencies are in the idea business. 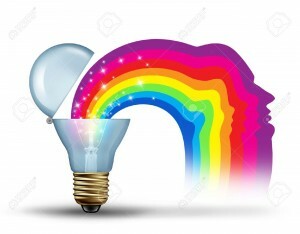 So people often ask, what’s the secret to coming up with a great idea? The answer is deceptively simple. Just listen. If you know how to listen, consumers will tell you exactly what they need to hear in order to choose your product over the competition. The purpose of marketing is to influence peoples’ perceptions and purchase behavior. But if the campaign feels contrived, contrived or lacks authenticity, it will neither engage nor motivate the audience. So how can marketers and their agencies become more in tune with consumers and really connect with them? A lot has to do with the listening tools you use. For example, focus groups have long been the industry standard for getting consumer feedback. It is estimated over 200,000 focus groups are conducted every year in the United States alone. Yet the artificial environment of focus groups subject people to peer pressure. Participants’ opinions can be easily influenced by facial expressions, body language or other reactions. Participants know they are being watched, recorded, fed and paid and all of this may cause them to change behavior or hold back opinions as a result. Additionally, each participant has heard what previous participants have already said and that can cause them to edit, revise or withhold their own true opinions. At Bodden Partners we use a different approach. We have designed the SOUL Process which uses one-on-one, private listening sessions to get to the essence of consumer needs and concerns. Unlike focus groups which allow an average of only 10 minutes of talk time per participant, our SOUL sessions run 20-30 minutes with the participant talking over 90% of the time. Many marketers fear they are not able to afford one-on-one interviews so Bodden Partners has designed The SOUL Process to be extremely cost effective. For roughly the same cost as focus groups, marketers can conduct a SOUL Process and gain richer, deeper insights. If you would like to know more about how the SOUL process can help your company, contact us today for a free consultation. The face of the consumer is changing by the day. According to the latest Census more than 50 million Latinos live in the United States, nearly 40 million African-Americans and almost 15 million Asians. Nine million people identified themselves as belonging to more than one race. America is on the cusp of becoming a country with no racial majority. Yet in most ad agencies you would think it’s still 1950, when the population was 90% White. According to a report by the Labor Department’s Bureau of Labor Statistics, only 9% of advertising people are Hispanic, 2% are Asian and less than 1% are African American. At Bodden Partners we believe that in order to communicate with consumers from all walks of life you need talent from different ethnic, racial, religious and cultural backgrounds. We believe diverse teams are more creative and innovative. People with different beliefs and lifestyles bring varied perspectives that inspire new ways of thinking, uncover unique insights and inspire fresh ideas that would never have been discovered otherwise. Bodden Partners is as proud of our legacy of diversity and inclusion as we are of our track record of award winning creative. We know we wouldn’t have one without the other.